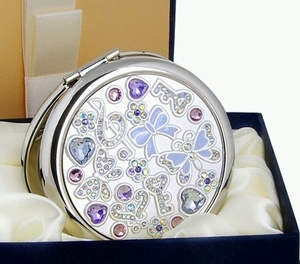 You'll love this lighthearted Music Box inspired Silver White Jewellery Cosmetic Mirror. 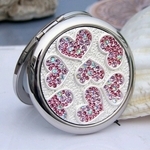 This design features a mainly blue color theme in ribbons motif and the breathtaking multifaceted crystal hearts. 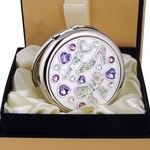 This premium jewel beauty mirror usually retails for MSRP S$40. Do check out our super money saver price and do grab our fantastic deal while stocks last. Material: Depending on the design, our jewellery cosmetic mirrors uses pure copper and stainless steel production process, with select outer 24K gold-plated. 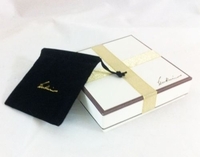 Each piece is hand-inlaid with quality Swarovski crystal creating our many unique designs. Packaging: Your chic jewellery mirror is delivered in a nice gift box which also includes a velvet pouch.